Why Is Louis CK Touching this Manga? Why Won't He Stop? 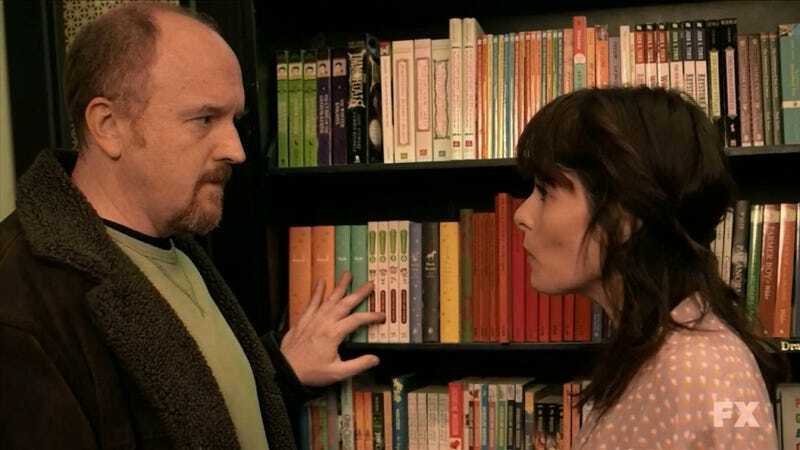 On a recent episode of Louie, Louis CK was in a bookstore and, as internet eagle eyes noted, the comedian kept his finger on the Japanese manga Yotsuba the ENTIRE TIME (well, not the entire time, but still!). What could this mean? Louis CK reads manga confirmed? Or a kwinky-dink? Let's go with kwinky-dink in our reality, but clever product placement in our dreams.